In some cities, jaywalkers’ faces would be shown on big screen along with their personal information – names, IDs and household registration address (all partially hidden). Screen shot from CCTV. 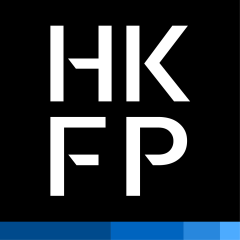 This post was written by Catherine Lai and originally published on Hong Kong Free Press on June 19, 2017. The version below is published on Global Voices under a partnership agreement. Efforts by some Chinese cities to use facial recognition software to shame jaywalkers have been met with concerns that the practice may violate pedestrians’ privacy. Cities including Jiangbei, Jinan, and Suqian have recently implemented facial recognition software at busy intersections, after the system was first launched in Shenzhen in April. The initiative is the latest attempt to discourage the common practice of jaywalking, in which pedestrians, drivers, cyclists, and other road users disregard traffic rules and cross the street when the lights tell them to wait. Pedestrians are known to cross intersections in packs, disrupting the flow of traffic. The system in Jinan automatically takes four photos and a 15-second video if there are pedestrians or non-motorised vehicles crossing the street. It automatically extracts photos of offenders’ faces, and shows the images on big screens placed at the intersection. The system works even in the dark, according to China National Radio. It also uploads users’ information to the police system. After verification by officers, information – including the violator’s headshot, name, age, place of household registration and ID number – will be partially displayed on intersection screens, newspapers, and on the internet, according to Li Yong, a deputy research director with the Jinan traffic police. 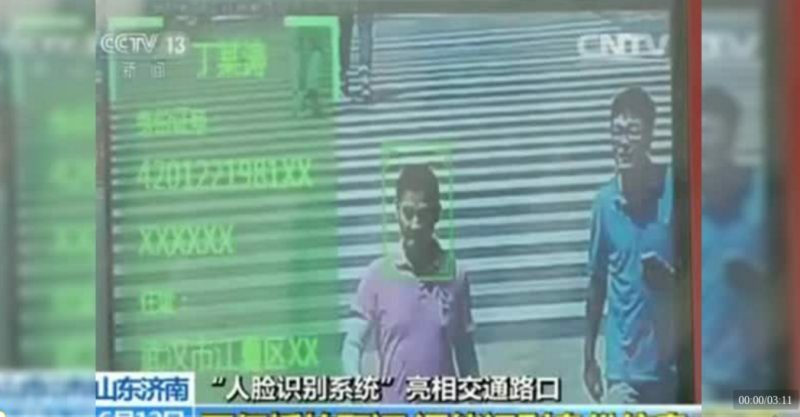 According to Central Television, since Jinan implemented the facial recognition system in May, police have caught more than 6,200 jaywalkers. In addition to a fine, the jaywalkers have to take a traffic safety course and perform public duty as a crossing guard. Li Yong claimed that the system has reduced incidents of jaywalking by 90 percent. But legal experts have raised concerns that such measures could potentially violate pedestrians’ privacy. Public interest is greater than individual interest. By exposing the misbehavior of a few individuals, the system sends a signal to the majority and protects the rights of travelers [drivers and pedestrians]. Criminal activity should be reported to [police] units, but should common violations [like jaywalking] be reported? Civil law protects the principle of the right to privacy, so publicizing data should be done cautiously, or it could infringe upon privacy. Zhang Zhuting, a professor at the government’s school for training transport officials, said solving problems using innovative technology should be encouraged, but officials should also take citizens’ privacy into consideration when exposing personal data, and do so in a measured way. He suggested that the public be informed when they enter the zone that their personal information is being taken, and that any illegal behavior would be exposed. He also encouraged authorities to take steps to mask sensitive information or withhold it. But few social media users on microblogging site Weibo have expressed concern about privacy issues. An online survey conducted by Sina showed 80 per cent of the over 2,000 respondents were in favour of the measure. Support, if they are shameless, they would not mind exposing their faces. But I am a bit worried that the system will be overloaded. I don't support it. The signal system is not scientific. The signal is red when there is no car on the road. When the green light is on, the cars are allowed to turn right and pedestrians have to stop and give way. Then after they walk past the midway point, they have to stop again to let the cars from the other direction make their right turn. Then the light turns red again and pedestrians are caught in the middle of the road. To avoid such an awkward situation, people have developed the habit of crossing the intersections when there is no vehicle. This is a country not friendly to the pedestrians, better buy a car. Better wear makeup when going out, or your face will appear on the big screen.